PARIS- France planned to invest via its Public Investment Bank, 12 billion euros (15.45 billion U.S. dollars) by 2017 to inject new breathe into the competitiveness of the domestic companies, a bank official said Wednesday. 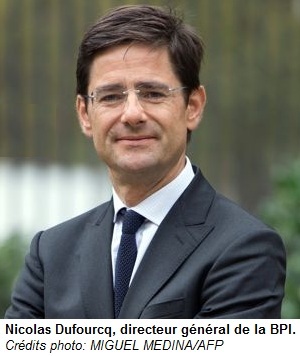 Addressing the deputies, the bank’s chief executive Nicolas Dufourcq detailed that the bank will invest 9.2 billion euros directly in small and medium seized enterprises and 2.7 billion euros through contributions to specialized investment funds. With 40 billion euros of financing capacity, the Public Investment Bank was created to offer enough liquidity to firms in financial troubles to help them improving their competitiveness enough to well positioning their products and services in global markets. On Wednesday, European Commission President Jose Manuel Barroso urged France to present a credible program of structural reforms to boost competitiveness and respect its financial pledges. “For 20 years, France has lost competitiveness. However, since 2009, France has made significant and very serious efforts to reduce the deficit. It has to pursue that,” he told the local broadcaster Europe1.